First, I would like to say that Wattpad is truly amazing because it has tremendous potential for building an audience. For authors looking to build a following of their own, there is no better website! I started like everyone else did on this website: with no followers and no readers! I had about ten or fifteen reads total my first week on Wattpad, which was depressing to say the least! I had read someone else’s post on Wattpad success regarding following and commenting on works that are similar to my own. So I followed every writer I could find who fit that criteria and commented on as many similar novels as I could find. I spent more time participating and reading than I did actually writing my first month! Which was fine because I already had a completed novel and was simply looking for a chance to be noticed. I had a stroke of luck because two authors with large followings noticed my posts immediately (I was literally everywhere with the comments back then), and began to read my work. Those two authors’ comments on my pages drew the attention of their own fans who then made their way to my book! Within two or three weeks of my debut, I was averaging about 1,500 reads every two days, which was greatly encouraging. Unfortunately, Wattpad made big changes that first month. By the end of the month, it had stopped counting reads from non-registered members, and my book went back down to about ten reads per day. It really felt like I was back to square one. It then took me the better part of a year to get back on track, but it has definitely become much harder to get reads after the change. The factor that’s had the biggest impact to the growth of my audience has certainly been getting featured. 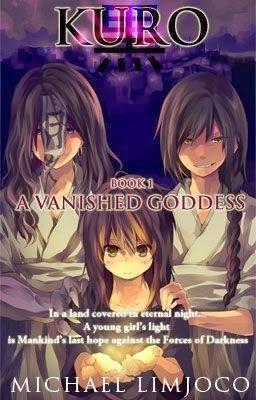 I submitted my story to Wattpad for consideration (more information here: http://www.wattpad.com/writers). They liked it and added my book to their Featured Stories. When Wattpad features your story, they place it on their front page for a month. Then your story goes in a ‘preferred’ queue that gets displayed to potential readers more often than other books are. Finally, I gave up my featured status to participate in Wattpad’s Watty Awards. To ensure that featured authors don’t have an unfair advantage over regular authors in the contest, Wattpad requires the removal of featured status as one of the rules. The gamble paid off, because my book Kuro, made it as a finalist. Don’t make the mistake of self-advertising. I see users everyday advertising their stories in the clubs or worse, on other people’s stories. It doesn’t work, and it has the added drawback of garnering negative attention towards your novels. Instead, find ways to add value for others. Make polite, but sincere comments on stories that are very similar to your own. Help with novel critiques and answer as many questions as you can in the clubs. Assuming you’ve got an appealing story and a nice cover that stands out, this is all the ‘Marketing’ you need to do. Your story has to reach ‘critical mass’ on Wattpad, which in my experience I’ve found to be 1,000 reads. Your first 1k reads are largely going to come from other people reciprocating because you’ve read or commented on their work. After 1k reads, you will begin to get a small following of readers. Past this, it really depends on how your story appeals to Wattpad’s audience. You’ll get a steady build-up of additional readers with each succeeding milestone: 5k, 10k, 30k, and 100k. If you make it to 10k reads, congratulations! You have something on your hands. Get to 100k and you’ll get readers without even trying: about 2k a day on average, and around 5 – 6k if you are featured or make it to the ‘Hot Lists’ Top 10 in your genre. Oh, and something important to note regarding the million-read milestone: cracking a million reads has gotten a lot harder since Wattpad stopped counting reads from non-registered members in March of 2013. This has significantly reduced the size of the readership base your book can get ‘read credit’ for. The books you see on Wattpad with the mega-million reads were all mostly created prior to that time. Since then, I have seen a handful of books crack the million-read barrier, but it is nowhere near as easy as it was before the change. It’s a bit unfair because it can be misleading to outsiders. A possible publisher could evaluate an older book with 16 million reads and reach the incorrect conclusion that the older book with 16 million has greater potential than a newer book sitting at 600k reads, when it really is apples to oranges! I have had sales on Amazon that are directly attributable to my activities on Wattpad. I won’t mention specifics, because they are hardly impressive LOL! But still, it is comforting to know it happens. There has been considerable demand for me to post the second novel in my trilogy and I have followers who have told me they will buy it outright rather than wait for me to serialize it on Wattpad, which is encouraging. Speaking of monetizing Wattpad, I know of three methods that are working well for authors. I’ll start with the obvious: getting picked up by a publisher. A few authors have had success because their book had a large amount of reads and it got a publisher or agent’s attention. Wattpad has also been wonderful in providing such opportunities for writers. For instance, one lucky finalist in the Watty Awards (maybe it’s me! ), will get the opportunity to have their work reviewed for potential publishing. The second and third methods are more commonplace. One method involves serializing your novel by posting bits of it at a time, in the hopes that your audience gets impatient and buys your novel outright. This has been the one that’s worked for me. The third option is to put the entire novel out on Wattpad and then modify the self-published version so that 40 to 50% of it is brand new content. I have seen this work for a few authors and I have been considering that model for my made-for-Wattpad book Death Angel. Lastly, a word of caution regarding traditional publishing: Unfortunately, Wattpad is a double-edged sword in that respect. Many publishers will be hesitant to take on your book because it has been read for free by millions, while a handful of publishers will be interested in your book for the exact same reason! Be aware that you are giving up first publishing rights by posting your novel on Wattpad. The establishment of the schools is gives you the guidance to evacuate the preparation gathering spared the a huge number of cash that you go through http://www.paraphraseexample.org/didnt-know-you-can-do-paraphrasing-online/ consistently. The online investigation gives you the office to finish your everything instruction through the web and the establishment of all the United States. There are numerous organizations that are give you correspondence instruction the base of the training and their essential purpose of perspectives is recorded in weblink subtleties. A few people don't have the foggiest idea how to speak with different people and make them your companions and other connection with one another's make a correspondence with them. There are a significant number of the general population who administers the world in great way however the one referenced here is genuinely great. Tipu sultan is known but at this point in many article of this https://www.rewording.org/about-our-rewording-sentence-team/ site for his benevolent nature and the perspective that he keeps up uniformity among individuals of various standard that isn't in our general public now a days however critical. Amazing blog post,Yell out is the stage in which individuals can uninhibitedly give our assessment about what they need to give but you can visit www.colonchecker.com/check-colon-punctuation-with-us to manage your task. I think individuals need such stage in which they can appreciate and spend great occasions and yell out is such brilliant stage for everybody. Amazing blog post,The name of the film pulled in the consideration of the general population towards this film and get info to click on http://www.prepositionchecker.com/10-ideas-for-a-preposition-check/ if you wanna to get quality work. As indicated by me, the most vital thing is the tale of the film. On the off chance that the tale of the film is strong doubtlessly the film turns into the super hit. The survey of the movie extraordinary and essayist and chief is outstanding and experience.